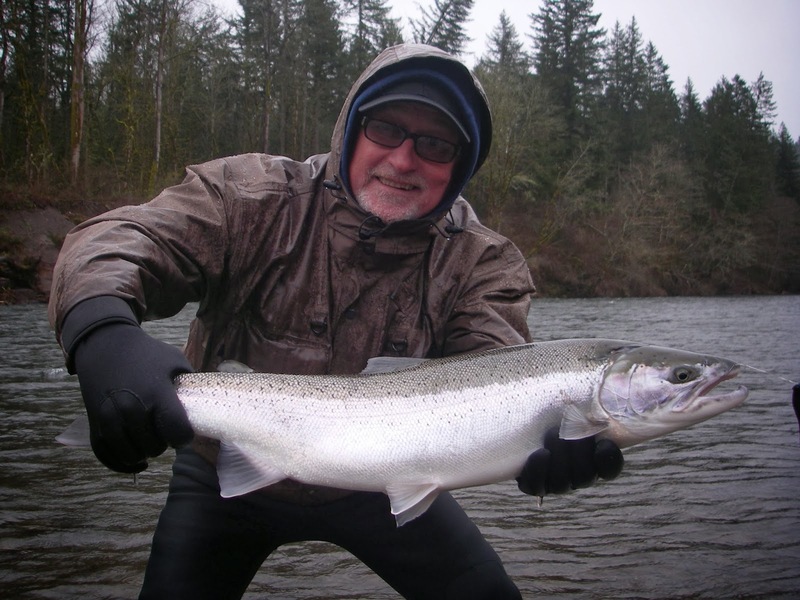 Purpose of Class: Learn the basics of casting and fishing with spey rods for winter steelhead. Reading water, selecting flies, and choosing the right lines and sink tips will all be covered. This class will be limited to 3 students per class. We will float 5 miles of the Sandy River, and practice casting on both river left, and river right banks. During the boat ride we will learn how to choose good water for spey fishing that holds steelhead. This is not a guided fishing trip. This class is designed to teach people the basics of fly fishing for winter steelhed with a spey rod. What You Will Need: Spey rods will be provided, but if you have your own please bring it. Chest high waders and boots will be required, and a valid Oregon fishing liscense with Columbia River Basin Endorsement & steelhead tag. When is the Class Time: Class will meet at 8:00 a.m. at Lewis and Clark Park (in Troutdale) and finish up around 2:00 p.m.
Instructor: Call Brandon Bischof at 541-977-2796 to sign up for the class. Signed up for the March date. Deposits in the mail. Thanks for the referral. Winter Steelhead of a Lifetime!! Important Article to Read on Our Fisheries!! !